Smelfungus is a name given by Laurence Sterne to Tobias Smollett as author of a volume of Travels through France and Italy, for the snarling abuse he heaps on the institutions and customs of the countries he visited. In the 19th century it was adopted by Thomas Carlyle as a pen-name when he had any seriously severe criticisms to offer on things, particularly those that have gone or are going to the bad. Patrick Proctor Alexander also used the name in his book Mill and Carlyle, which contrasted Carlyle's views with those of John Stuart Mill. Proctor's Occasional Discourse on Sauertieg by Smelfungus attacks Carlyle's more brutal ideas. Smelfungus is a name given by Laurence Sterne to Tobias Smollett as author of a volume of Travels through France and Italy, for the snarling abuse he heaps on the institutions and customs of the countries he visited. In the 19th century it was adopted by Thomas Carlyle as a pen-name when he had any seriously severe criticisms to offer on things, particularly those that have gone or are going to the bad. Patrick Proctor Alexander also used the name in his book Mill and Carlyle, which contrasted Carlyle's views with those of John Stuart Mill. Proctor's Occasional Discourse on Sauertieg by Smelfungus attacks Carlyle's more brutal ideas. 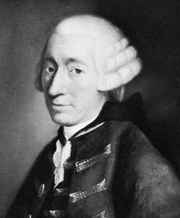 Tobias Smollett is currently considered a "single author." If one or more works are by a distinct, homonymous authors, go ahead and split the author. Tobias Smollett is composed of 31 names. You can examine and separate out names.